To register for either session, CLICK HERE. Attendees will enter a healing temple and sample a variety of services from different experts in the art of pampering women. Treat yourself to a day of self-care, self-compassion and rejuvenation! For $50 receive four different sessions of pampering each 25 minutes long! All services are free once you enter. We encourage you to bring extra change for tips, as our healers are donating their day for you! Enjoy a sampling of pampering treatments such as body work, psychic reading, energy healing, tarot reading, reiki and coaching. You can stay all day to enjoy the ambiance of rejuvenation and play in our creative arts center to make collage cards. Women attending the afternoon session can arrive as early as 11:00am. Service provided: Shamanic and Reiki healing arts: soul energy clearing and balancing with releasing of conflicting heavy energies using healing stones and crystals, journey work, sound, and intuitive guidance. Business listing: Teacher, Intuitive, Certified Spiritual Healer, Storyteller, Musician, Psychic Consultant and Writer – offers private sessions, rites of passage, circle work, classes, workshops and healing apprenticeships. Business listing: Confidential guided inquiry beginning with the question, “What do you want?” I specialize in holding the space that allows you to find new perspective. Holistic, heart centered, and ecological Neuro Linguistic Programming. Confidential guided inquiry beginning with the question, “What do you want?” I specialize in holding the space that allows you to find new perspective. Local and long distance sessions available by appointment. Business listing: At Phoenix Rising Wellness Center, our chiropractic techniques can assist patients with the rediscovery of health and wellness that had been previously known but long lost. For others, the chiropractic journey may offer a new sense of balance and wellness that one has never before experienced. Unlike conventional medicine, which focuses on attempting to treat disease once it occurs, the chiropractic care offered at Phoenix Rising Wellness Center in Seattle emphasizes the importance of improving your health in an effort to reduce the risk of pain and illness in the first place. 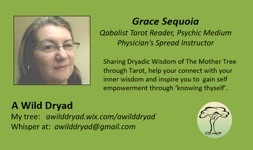 Business listing: Qabalistic Tarot Readings to empower and inspire you in your life-path journey. A Wild Dryad offers indepth Qabalistic Tarot Readings to empower and inspire others to connect with their higher-self to walk through life with purpose. Business listing: As an esoteric consultant and founder of Esoteria, I offer an eclectic range of methodologies, including (but not limited to): charms and sigils; the Enneagram assessment; theatrical exercises to tarot; and more. Got projects? Got curiosity? From personality theory and theatrical exercises to tarot, the paranormal, and beyond, Esoteria offers a comprehensive resource for individuals, entrepreneurs, coaches, speakers, authors, artists, and more. Service provided: Energy healing with cranio sacral, acupressure in the shamanic tradition, and Reiki. About Liz: Liz provides deep, transformational work in the Shamanic tradition through a three day retreat that enlists the aid of the Higher Self in identifying the energy that is crystallized/blocked and releasing that energy. This work is done in the Trance state using Ancient Chinese Acupuncture points (acupressure, windows to the sky), Breathwork and Cranio Sacral work. She aslo does tarot readings to help tune people in to where their issues are and their guidance around those issues. Business listing: Life Purpose Hand Analyst, a Power of Clearing Coach and a Reiki and TAG Healing and Transformation Practitioner, all combining to restore you to your true soul resonance so you can live your life’s purpose. Service provided: Chakra and DNA activation and “DIVINE NUCLEAR AWARENESS” using frequency tools, crystals and Tibetan energy healing. Business listing: Sound and Energy therapy. Also play D.N.A., Chakra and Healing Activation Music, Tibetan energy healings. for their life. Healing tools include scientific hand analysis, EFT tapping and more. Business listing: I help women discover their life purpose through a process of spiritual healing. First we let go of energetic patterns that are no longer serving them in their lives, then look at their higher purpose – who they are here to serve and how. 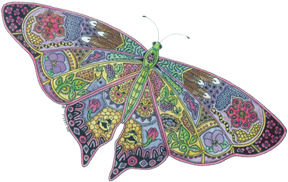 Client receive specific guidance on next steps and a huge energetic shift as life patterns are released. Business listing: Nicole is a licensed Acupuncturist and Medium specializing in the channeling of Angels & Spirit Guides and Intuitive Energy work for guidance and healing through the expansion of consciousness. She has a Masters Degree from Bastyr in Acupuncture & Oriental Medicine. Services provided: Intuitive readings with Phoebe Patten using her original Plantspeak Nature Oracle cards. Bring your questions to find out what can be nurtured in your life, and what challenges are being presented as growth opportunities. Business listing: Intuitive readings with Phoebe Patten’s original Nature-based oracle cards lovingly align you to Nature’s healing source. As an intuitive “midwife,” she helps you bring your own wisdom to birth by gently guiding you through a process using either a 6- or 5- cards spread. Service provided: Ancestor divinations as a tool for transformation in the tradition of the Dagara Tribe of Burkina Faso, West Africa. Sit in conversation with your Ancestors and receive their guidance to restore clarity and balance. About Sarai: Sarai Schneider has been active in the healing arts since 2001. Having studied for 2 years with Malidoma Some Phd, (Dagara Elder, Shaman, and author) in 2007 she is passionate about connecting people with the wisdom of their Ancestors and helping to heal the wounds of the past so they may live a brighter future. Shamanic Practitioner, Usui Reiki Master and Shamballa Reiki practitioner, Therapeutic and Prenatal Massage therapist with 15 years of experience, service, and dedication. Sunny connects her clients to lives filled with peace, joy, freedom and purpose. Service provided: life coaching and energy healing with shamanic work and ARCH (ancient Hawaiian energy healing modality) Ready to love yourself and your life? Business listing: Susan specializse in transforming perfectionism, fear, and feeling stuck into greater clarity and action. Through working together, her clients get past obstacles so they can move forward on the right path for them, enjoying their life and feeling great. Susan’s particular approach draws on life coaching, energy healing and shamanic work to support powerful shifts on mental, emotional, physical, and spiritual levels. 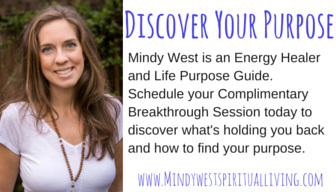 She offer individual sessions, personal retreats, and workshops. Sophia Sarvavidya. R.N., M.Ac., E.A.M.P. Sophia Sarvavidya is a licensed accupuncturist who also gives Wisdom readings from Polynesian, Celtic and Taosit traditions. Service provided: Breema bodywork clothed and on a padded rug. About Jena: Movement and bodywork for expanding awareness of our connections. Jena has taught massage, creative dance and self healing movement classes for over ten years. Jena is a Certified Nia / 5-stages instructor, Certified Breema practitioner, Self-Breema Instructor, licensed massage therapist, Reiki monster and educator in Seattle.